LAMB Occasionals Beautiful living room furniture and tables. 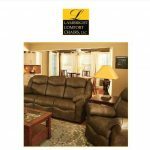 AJs Furniture Our goal at AJ’s Furniture is to produce exceptional living room furniture that our customers can be proud of for years to come. Curveside Wood Products Fireplaces, kitchen and bath cabinetry. HoneyBee Specializing in mission and traditional furniture.Our goal at Honeybee is to built quality hand-crafted furniture. 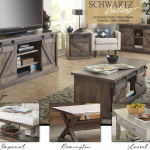 Schrock’s Furniture Our ultimate goal is to build products with a good grade of lumber, to build it as if it were our own.Bedroom suites, plasma cabinets, occasional tables. Topeka Innovative Concepts Classic Flame Infrared Quartz Fireplace Insert – Inspired by nature. Your heirloom-quality Hoosier Crafts pieces will last a lifetime and become family treasures passed from generation to generation. 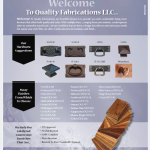 Quality Fabrications At Quality Fabrications, our heartfelt mission is to provide you with comfortable living room furniture that offers both quality and value. With multiple lines…. ranging from pure mission, contemporary styles to somewhat transitional. Superior Living Room Tables Enjoy these high quality living room tables. 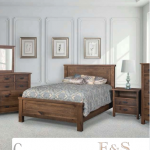 E & S Wood Creations E & S Wood Creations has been crafting quality furniture in rural Indiana since 1987. 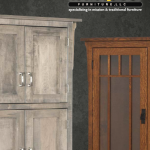 Heritage Wood Designs Quality Furniture And Kitchen Islands Built From Nature’s Finest Woods. 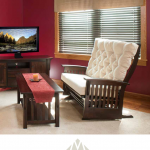 Heritage Wood Designs, LLC is a family owned business in the heart of the Northern Indiana furniture industry.